Movie Maker was introduced in late 2000 as a very basic video editing app, just good enough to nudge me from the analog world to digital, where I’ve been ever since. Now I see it being dropped from Windows 7. It’ll be missed by the communities of Windows XP and Vista users. Where to now? Over 5 versions of Windows Movie Maker the word used to get video has changed 3 times. You Record camcorder video with MM1, Capture with MM2 and Import with MM6 and Windows Live. Let’s see how each version ‘gets’ video from my Sony TRV80 mini-DV camcorder tapes using a firewire cable in Windows 7. My first article about making movies in Windows 7 said you could add Microsoft’s Windows Live Movie Maker, Movie Maker 2.6 and Photo Story 3 to the clean slate. Since the article I tried MM1, MM2.1 and MM6, and they all work to some extent. But PS3 no longer does. Let’s explore them some more. Windows Movie Maker has been in every version of Windows since Me… XP and Vista… but it’s not in Windows 7. What does that mean to the community of Movie Maker users? They can download and install Window Live Movie Maker and MM2.6, add Photo Story 3, and continue making movies. An embedded Google search feature on each page of my personal website helps you find things and lets me know what users are looking for. The most searched for term is ‘An interface has too many methods to fire events from’, beating 2nd place ‘codec’ by over 6 to 1. Let’s explore it. 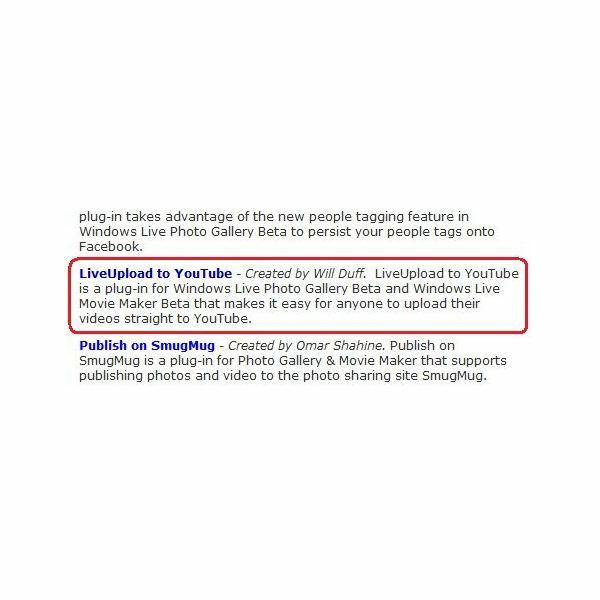 A plug-in for Windows Live Movie Maker gives you the option to publish movies directly to YouTube. It’s an attractive feature, but the quality of the movies are sub-par and I won’t be using the plug-in. Sometimes the worst that can happen in video editing is that things appear to be going along perfectly, yet in the final viewing of the published movie someone notices a couple short segments where the frames seen are not those planned. This is one such case. What happened? Why? What next? Saving a movie to your hard drive is the only way to get a high quality one. You’ll certainly want that if heading to a DVD. Although publishing to a website host leaves a copy behind on your hard drive, it’s a much lower quality. And you’ll use this option for a portable player. When you finish editing, it’s time to distribute your movie. Windows Live Movie Maker provides an easy option to go directly to an online host. There’s one to start with, and a few more available as downloadable plug-ins, Others can be developed and added. You’ve gathered your pictures, video clips, and tunes. The editing phase is where you put them together in the sequence you want, and add audience pleasing visual transitions and effects. With previous classic versions of Microsoft’s Windows Movie Maker you import existing pictures, video clips and music from your hard drive, or import/capture video from your camcorder. The new streamlined Windows Live version doesn’t connect to cameras or camcorders. What files can you use? I’ve been living with Windows Movie Maker since it was introduced in late 2000. As an entry level video editing app included in the operating system, it grew in features as part of XP and Vista. Now it’s been totally redone and moved to the downloadable Windows Live suite. When I first explored the Pan/Zoom PRO features of Pixelan’s Wizards 4.0 for Movie Maker I was intrigued by the great viewing experience you can achieve by creatively mixing non-linear motions of a high quality still picture with audio. If your computer has been running fine but suddenly shuts down in an instant, as if somebody turned off the power switch, there’s a good chance that happened. The CPU may have overheated and an automatic thermal switch turned it off. In this article about Microsoft Expression Encoder 2 I’ll assume you’re using the free Express version as a simple file conversion utility, and you’re heading to the internet with your new file. Other articles will cover features such as adding leaders, trailers or overlays. As I wrote this series of articles I asked myself some questions. Some answers came easily and others took days of head scratching. I’ll share them with you in Q and A format. Should I Get Express or Full Version of Microsoft Expression Encoder 2 Software? The Encoder starts off as a fully featured and functional one for 30 days and then continues on as an Express version if you don’t purchase it. What will you miss if you stay with the Express utility? This article sums it up. 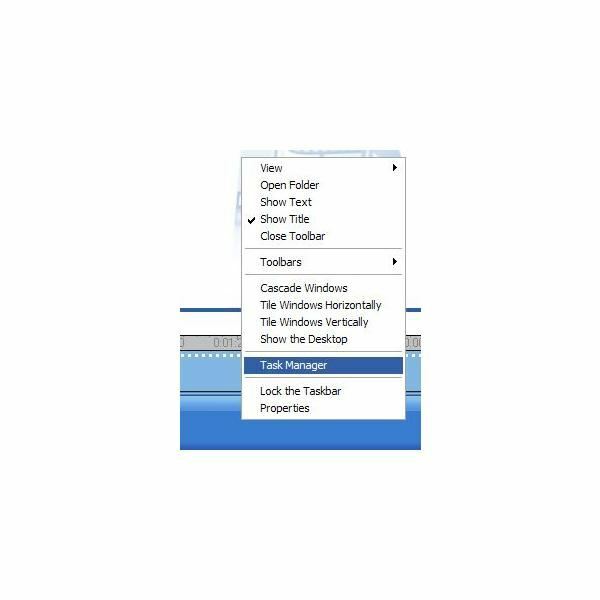 Parts 1 and 2 of this series introduced you to the Microsoft Expression Encoder 2 and commented on features of the full version that stopped functioning when you go past the free 30 day trial period. This article is about installing the software. In Part 3 of this series, we took a peek at the Compatibility List in the Expression Encoder 2 and showed how much its contents varied by computer. The List is a pretty techie place to be in, as it touches on the subject of those mysterious and hellish codecs. Learn more about them. 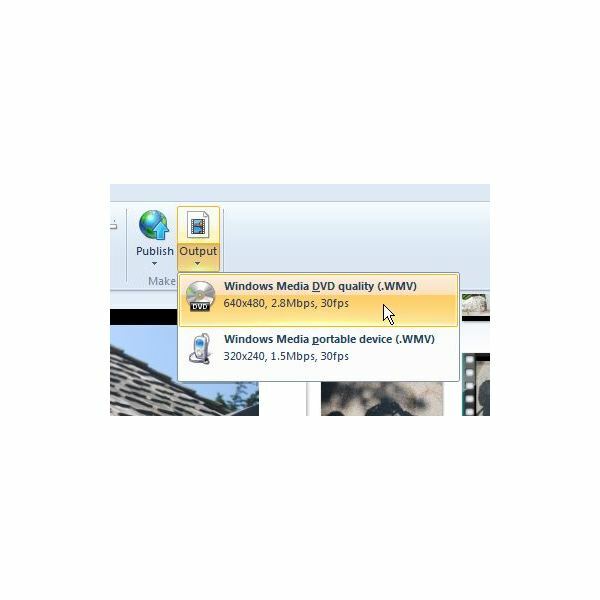 5-1/2 years since the last release of Microsoft’s Media Encoder 9 package, evolving file types and codecs make file conversions increasingly more important to those working with digital video. This series of articles will focus on Expression Encoder 2 from the perspective of file conversions.